This page shows snapshots taken from the Unity 3D based scenario viewer ScenarioViewerU3D. Click on the images to see a larger view. 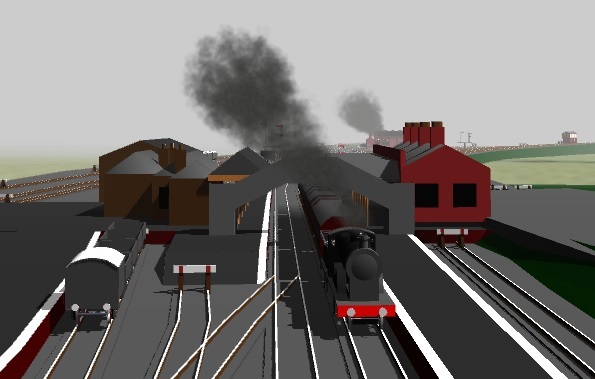 This model visualises the Lancashire & Yorkshire Railway lines between Ormskirk and Burscough in the early 20th Century. It is used as the context for Year 6 children (10-11 years old) to build and run steam locomotives. These images show a Lancashire & Yorkshire Railway Atlantic locomotive built by Aspinall (4-4-2 with 7ft 3in driving wheels).